It’s been a while since I posted a commentary, so here we go. I love space exploration. I follow the topic by reading books and news articles, I build space models as a hobby, I love to talk about it to groups, and I have been fortunate enough to have a job in the space industry. Sometimes I read articles that take things a bit too far. Lately there has been a lot of “hype” floating around social media sites and news articles. I see many examples of space developments being over-sold and over-promised. As I have been following this topic for over five decades, I have seen bad things happen when space programs are hyped excessively. Here are some examples of the current problem. It’s ten years after SpaceShipOne flew and won the prize for a reusable space vehicle. But it’s still going to be many years until we will have real commercial suborbital tourist space flights. Despite the marketing material I see from Virgin Galactic, this program is not going to put hundreds of people into space. It’s joy rides to “space” altitude but a long, long way from lowering the cost to orbit. The Excalibur Almaz venture is back in the news with another shady offer to send tourists around the Moon. I saw a news item about Art Dula being involved in a lawsuit related to this program. Ever since I heard of him back in the 1980s I was always suspicious of whatever he was trying to pull off. Nothing solid ever came from a commercial program using old Soviet hardware but the idea just won’t go away. Wow! A comet was going to fly really close to Mars and our robots are going to have an awesome view. Well the photos came in and some show this tiny little fuzzy thing. It was hardly spectacular. 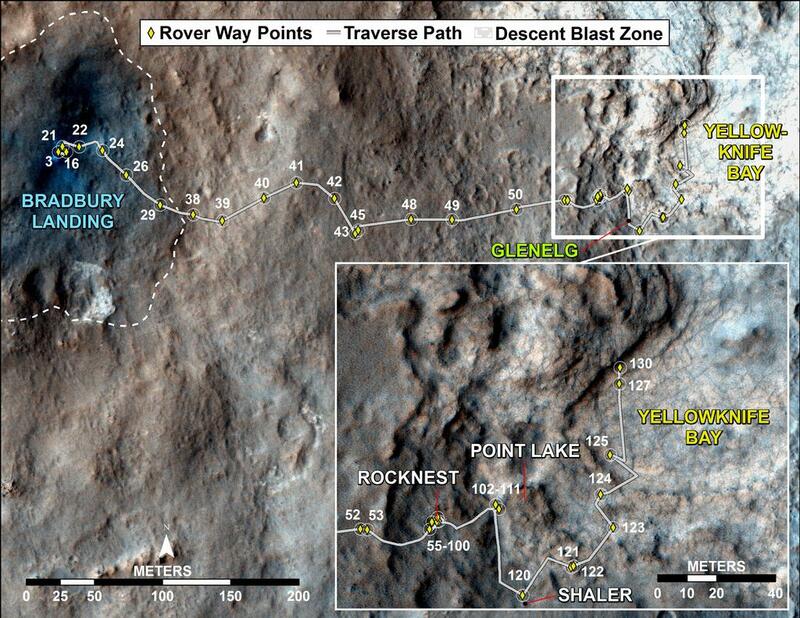 Folks need to remember comets way out at Mars aren’t generally very active. The first announcements of the Philae landing saw a lot of over reaction, largely because ESA didn’t have or wasn’t releasing all the data that was coming in. The fact that they announced “landing” when the initial contact was made, but in reality it had bounced and landed again TWO HOURS LATER was not announced or maybe just not understood. Everybody was congratulating themselves before all the facts were in, probably while the lander was still bouncing around. Real life science isn’t like the movies. The mission so far has been a great success, despite the bouncy landing into a dark corner of the comet. My point is that there was an excess of excitement about a mission before all the facts were known. Not so long ago, folks were predicting the first launch of a Falcon Heavy late in 2013 or maybe early 2014, based on statements from SpaceX. Now, reports are that the first such launch won’t occur until late in 2015 at the earliest. This is why studying history is important. People should not buy into launch predictions for ANYONE’s first launch, be it private (Falcon Heavy) or government (SLS). It never happens on time when the prediction is more than six months out. Additionally, SpaceX recently (late December 2014) removed some of the date info from their published launch manifest. The hype was that they predicted over a dozen launches in each of 2014 and 2015. That is very unlikely to happen. A news item reported that Elon Musk of SpaceX claims their reusable rockets will reduce launch costs “to a hundredth of what they are now.” Wow. A factor of one hundred implies you re-use the same booster at least 100 times. This also ignores the costs to refurbish the rocket, or to run the tests to verify nothing broke. That is a lot of re-use for a rocket booster seeing the extreme dynamic loads of launch and landing. Even Space Shuttle orbiters never got to 100 flights. So “100X” is just hype. 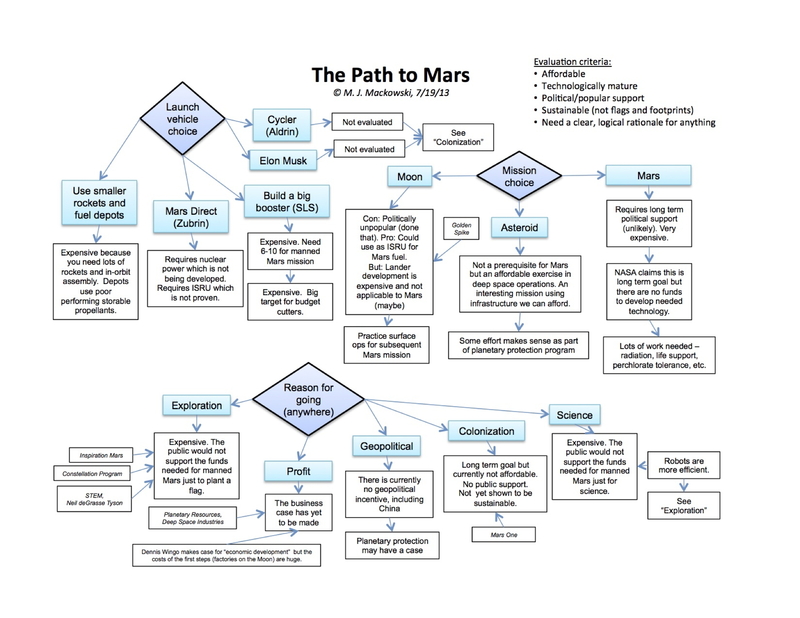 A 2021 Mars Expedition Sounds Exciting but Does It Make Sense? About a year ago, Dennis Tito formed an foundation, Inspiration Mars, whose goal was to send a married couple on a fly-by space mission to Mars and back. This would have to be launched in 2018 to take advantage of the relative alignments of the Earth and Mars. There are obvious challenges to overcome to make this successful, notably funding and the lack of demonstrated life support systems that can last 500 days with no resupply. A few months ago, Tito testified before Congress, noting that he would need the help of NASA to pull off this mission, specifically calling out the need for a heavy launch vehicle like the Space Launch System (SLS), which is now in development. Now a some members of Congress (specifically Rep. Lamar Smith, chairman of the House Science, Space and Technology Committee) is proposing a very similar mission but sponsored by NASA. Note that the idea did not originate with NASA. This would be launched in 2021 and takes advantage of a Venus fly-by for a gravity assist, and results in a mission only a month or so longer than the 2018 plan by Inspiration Mars. It would be the second launch of the SLS and the inaugural flight of the Orion deep-space vehicle. This plan, as well as the Inspiration Mars plan, requires a habitat module which does not exist today, although could be based on American or Russian modules used on the International Space Station. The 2021 launch date provides a bit more realistic schedule to develop some of the missing pieces for such an audacious mission compared to the Inspiration Mars plan. But does this 2021 plan make any sense? Does it lead to the permanent settlement of space, or is it part of a long term strategy of human exploration of deep space, or will it leave us with any new capabilities that could be used to develop lunar resources or advance the date of putting people on the surface of Mars? My initial thought is no, it does none of these very well, but there may still be a reason to embrace it (which I’ll get to in a bit). For establishing a solid foothold on the Moon, we will need landers and equipment to process the local regolith to extract resources. Any deep space mission, be it to the Moon, an asteroid, or Mars, needs to be part of a long term strategic plan to establish mankind’s permanent presence on other solar system bodies. This mission doesn’t address those needs. For putting a crew on the surface of Mars, we need landers (again) and long-lived life support equipment. Both the new proposal and the Inspiration Mars concept will need a reliable closed life support system, so either of these would be a step in that direction. Ideally, one would like to develop that technology and test it in low Earth orbit or in cislunar space, where a rescue or recovery would be possible should something go wrong. I have not seen a detailed development plan for these missions, so perhaps they are including that. But if that is the case, what value added is the cost of this fly-by mission provide you since you already have developed one of the technologies needed for a Mars landing mission? This is where we get to the “other” reason this mission may make sense. Is a Venus and Mars human fly-by mission valuable from a gee-whiz perspective that might just incite an increased demand for missions that would actually lead to permanent settlements? We have been looking for something for the public to get excited about. Could this be it? The Inspiration Mars folks admitted this from the start, so is Congress picking up on that approach? Or are they just looking for an entertaining space spectacular (it might be a great television reality series) to justify the existence of their giant SLS rocket? While a fly-by mission with a crew generates no science results that a robotic probe couldn’t provide at a much lower cost, and doesn’t really put footprints on Mars, and leaves no real infrastructure for future long-term development, the impact of actually going to Mars may generate intangible benefits that are difficult to imagine at this time. Such a mission would indeed be a real interplanetary expedition. There is something to be said for that. It may not have any great scientific justification, but it could have a big impact on society at a more fundamental level. Is this the “statement” mission that underscores (regains, for some) America’s leadership in space that a lot of people have been calling for? This doesn’t have to be a terribly expensive mission. The SLS is happening anyway. This may be a relatively cheap way to justify the expensive SLS development. The hab module shouldn’t be all that expensive, relatively speaking. It would be similar to ISS modules. And we’ve been working on CLLSS for a long time. The technology to pull off this mission isn’t that far off, but certainly there is a lot of development required. At this early stage, however, making a believable cost-benefits trade study is difficult. Are there better ways to spend what little money NASA has at their disposal? Wouldn’t investing in a large lunar lander be a more logical next step? That would require a long term strategy for human planetary exploration, which we still don’t have. But remember, the benefits of this proposal are not primarily driven by logic. If it encourages some political commitment to a long term space program, is that really so bad? The year is winding down with some interesting developments related to space programs. Globally, India has sent a probe on its way to Mars, the first such mission for that nation. China has sent a lunar probe in orbit around our Luna, and by the time this article is published, ought to have attempted a soft landing in the Bay of Rainbows. On the other hand, the normally reliable Long March 4B experienced what appears to be an upper stage failure in the launch of an environmental observation satellite. Back in the USA, on December 3 SpaceX achieved a major milestone with the successful launch of a commercial communications satellite into geostationary orbit with their Falcon 9 rocket. This is set to be the first of many such commercial (non-government) payloads launched by them in the next year. It will be interesting to see if they can achieve the pace required to execute all of those missions. In another NewSpace development, Blue Origin had a good test firing of their BE-3 oxygen-hydrogen engine. This is the first new rocket engine of this type to be developed in the US in decades. In the realm of audacious proposals, the folks from Mars One (who want to establish a colony on Mars) have contracted with Lockheed Martin to do a mission concept study for a version of the Phoenix Mars lander for a privately sponsored mission to the Red Planet. Whether Mars One can come up with the hundreds of millions of dollars that is likely going to be needed to pay for such a project is yet to be seen, but it is an indication of how serious they are about this effort. And at Jupiter, researchers using the Hubble Space Telescope have suggested that there are huge water geysers erupting on Europa. This icy moon is thought to have a deep ocean under its ice crust but until now there was no evidence of water reaching the surface. It is possible that there is more water on Europa that all of planet Earth. This could make a Europa lander mission much more compelling. I don’t want to attempt to make this blog a news column (as there are many websites doing a great job at providing news on space exploration) but I thought these recent items were notable enough to close out the year on a positive note. Locally, we decided not to compete with all the holiday activities and are not holding any events in December. Make sure you reserve January 18 for our next meeting which will feature Art Anzaldua talking about future operations in the Earth-Moon system. 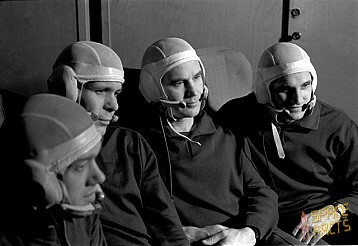 Soyuz 4 and 5 – Drama in the Early Soviet Space Program. Ben Evans at AmericaSpace has a great two part series on the early Soyuz 4 and Soyuz 5 docking and crew transfer mission. Part One describes the events leading up to the dual flight. Early unmanned trials of the new Soyuz capsule had parachute problems. Docking experiments were conducted under the disguise of the Cosmos 186 and 188. They achieved only a soft dock, and Cosmos 186 suffered a steep reentry and hard landing, while Cosmos 188 suffered a ballistic reentry and was ordered to self destruct. Cosmos 212 and 213 succeeded with a hard docking, clearing the way for a manned rendezvous mission. Parachute problems persisted, however, and Vladimir Komarov was killed on Soyuz 1 when both the main chute and backup failed. Additional problems with spacesuits too big to fit through the exit/entry hatches used for the two crew transfer were resolved with news suits and a larger hatch design. Eventually, the mission got underway with with the launch of Vladimir Shatalov on 14 January 1969 at 10:30 AM Moscow time. Soyuz 5 was launched at 10:04 AM on 15 January with Boris Volynov, Alexei Yeliseyev and Yevgeni Khrunov.